In Episode 10 of our regular Motorsport Business roundtable discussion (July 2016), Strategists, Consultants and Business Development Managers based in Turkey, India and USA discuss the latest developments in motorsport marketing and sponsorships. Danielle Crespo (USA) – Marketing and Media Relations Manager for TRG-Aston Martin Racing. Prior to this, Danielle was motorsports hospitality & logistics broker primarily for F1 & MotoGP suites and events based in Austin, TX. Q1: Ex-Nissan Motorsport boss credited with success of Gamer-to-Racer program, Darren Cox recently launched eSports+cars—the first Virtual Pro Race Team. Thoughts on the rise of eSports and the use of VR in motorsport? PS: eSports was the subject of a significant discussion and presentation at the recent FIA Sports Conference in Turin. Thought leaders from EA, YouTube and Gran Turismo (part of Sony) presented their ideas about how to apply it to Motorsport. In fact MOMA itself has been involved with the Nissan GT Academy program in India, brainchild of Darren Cox. 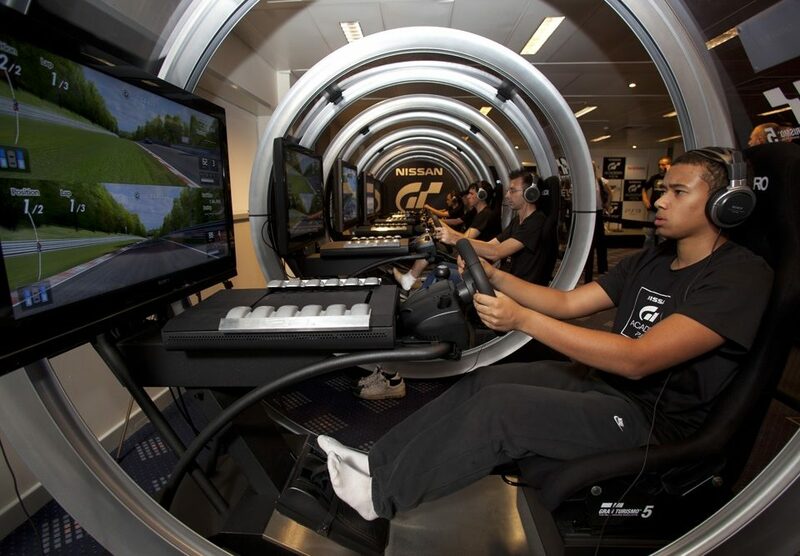 We ran the program and could see for ourselves the transformation of gamers to real-life racers – e.g. Jann Mardenborough, etc. eSports is a great channel for many countries where there is a dearth for real motorsport events but no shortage of passion. Enthusiasts get to experience the sport and this in turn contributes to the growth of motorsport at large. These days, eSports like Sim Racing etc are no longer isolated activities transmitted through the ‘mysterious’ internet – but real arena spectacles in some countries, already – complete with jumbo screens, spectators, podium ceremonies and even brand engagement segments. A recent study showed that Gamers generates ‘real’ money for competitors (USD$ 18.4 million). Brands find relevance in Virtual Racing by tying into the game – for instance a champion virtual racer who regularly chooses a Lamborghini in competitions could be signed up by the luxury brand for promotion and reaching out to the youngster segment who would then perhaps grow up to evangelise the brand. MM: Actually I was a bit surprised when I heard FIA is in eSports is very big as every of us know, I am sure it will be a big hype for motorsports as well even bigger let’s say especially for younger generation. FIA wants them to have bigger support although Bernie doesn’t like them. Therefore, we have a big future on Motorsports eSports area. I guess Red Bull might be one of them. McLaren as well to make bigger investments. DR: Monetisation of eSports is via several avenues including as racers getting paid for their racing skills, fans who come to watch also generate income and brands who advertise their products also get an income from eSports. To summarise, low entry cost barrier, brands, infrastructure providers, a growth-driver. DC: I would love to be able to use VR for our guest in the paddock as that would give them an added value and a more immersive way to gain the “all access” experience we try to give them. However, the cost of implementation may not merit the benefit of us doing this independently in our own hospitality area. If the series handled the set-up, it would be more feasible. At the moment, we are not allowed to stream live races outside the track, and I’d really love for our fans at home to be able to follow along via the VR experience. Q2: Ross Brawn recently said FIA rulemakers aren’t given enough time for new Regulations to settle in. Is this a contributing factor to why teams from Top 3 struggle to be competitive? And what do you make of the Mercedes radio ban debacle? DC: I’d agree that the rate of rule changes does not give sufficient time for teams to gain a competitive edge and that is not good for the sport in the long run. Also, I don’t agree with drivers not receiving information about vital data that they do not have visibility to while they are in-race. It’s a team effort after all. They will find ways around the radio ban anyway… smoke signals from the spotters’ stand, perhaps? PS: The FIA is bound to follow the rule-book. Perhaps the key operating principle of ‘aiding the driver’ was conceived at a time when the race car was a less complex machine. Today’s F1 cars are also technology-intensive systems in high speed motion serving functions such as data acquisition, communication, energy recovery, electricals, etc. So expecting a driver to be a whiz at system management in addition to be a top-level driver may just be out of sync for the present. Hence a certain amount of electronics/ system-oriented radio intervention is perhaps warranted and unavoidable to empower teams (and motorsport is a team sport) to fulfil their primary mission – to finish and finish first. And as for F1 drivers of the future, no escaping command of systems and technology besides the core competence of racecraft. And on Regulation changes, sometimes, rule changes make big leaps and change the domain landscape. KERS, efficient combustion, etc are now a vital technical specs that teams have to comply with. This paradigm-shifting emphasis of F1 on combustion efficiency-over-power or aero-over-aesthetics cripples some players. Ferrari’s troubles could in some part be attributed to their DNA which is strongly entrenched in the ‘power’ spectrum. Their DNA hampers them maybe, when regulations are intensive in KERS, fuel-efficiency, etc. And one must not lose sight that it takes a while for an entire factory like Scuderia to cross over from the power era into the ‘green’ era. MM: About Mercedes ban debacle, i think it is even not something to discuss, as Mercedes was not consistent. 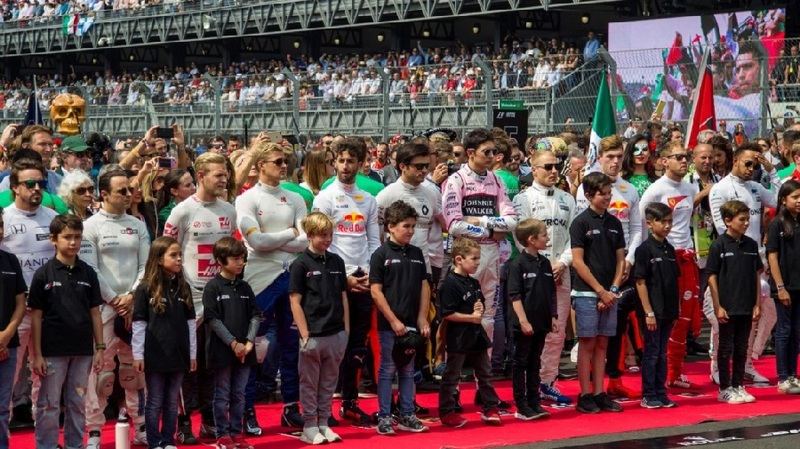 One month ago in Baku they were pretty nice into the rule and didn’t explain the way to solve for Lewis, however in Silverstone they did and then they totally changed. I am against the idea of banning that much driver instructions. As long as it is not as much and prescriptive as Massa got in 2008 – he was getting too much aid while Kimi doesnt need any. The team was explaining even gear selection in every corner to Massa. I believe that the ban should be eased significantly but should not be totally cancelled. Q3: Autonomous Driving is garnering support despite Tesla’s recent “Autopilot” crashes but does Autonomous Racing (@Roborace) have a place in motorsport & fan engagement? MM: I am totally against the idea of Roboracing or Autonomous racing because there is no human component and fans have nothing to relate to. In the sport, if there is passion, then people enjoy it. Remember when Vettel and Webber crashed into each other at Turkish GP. After the incident, remember Vettel’s face. Fans enjoy those moments, a robot wont have such psychological reactions. Fans like and support those who are passionate ones, such as Alonso, Gilles Villeneuve, Ayrton Senna, Schumacher, Vettel and Hamilton. However, if you can programme that rivalry into a Roborace car, then maybe we will watch. DC: On the topic of Roborace – I know race mechanics who are fascinated by the idea of autonomous racing. It’s not just about a pre-set race being run by driverless, robotic cars. It’s about technology and strategy – how will that car react when another one pulls a surprise move on turn 5 of lap 30? How will the other cars’ sensors react to that uncertainty? It’s fascinating to think of all of the possibilities being pre-programmed plus the “on the fly” reactions that will have to be made by a car with no driver. There’s even a club racing league here in Northern California called Self Racing Cars (which is run by a friend of The Racer’s Group) where this new technology is tested on actual racetracks. To me, Roborace is more of a marketing platform than a traditional sporting event. The question has to be asked, “Who is it from, and who is it for?” Meaning it’s not meant to follow the traditional motorsports route but at this point that’s the most effective platform. On the topic of attracting audiences, I would not have expected eSports to draw stadiums full of real, live humans to watch people play, but they do. It’s hard to control what arouses people’s passions or interests so you have to have an open mind about using new ideas and technology for “traditional” events. For me, it would be interesting if it’s part of a larger, more holistic plan. PS: The definition of sport goes something like: “Physical activity that is governed by a set of rules or customs and often engaged in competitively”. An activity involving physical exertion and skill that is governed by a set of rules or customs and often undertaken competitively”. So no human, no physical activity equals not a sport!? Seems to me that such robo-races would be showcases and test of technology and reliability of technology rather than sporting skill. So, I’m kind of not convinced about Robo-Racing World Championship (Google, Apple teams?). And would the Autonomous Car Racing Championships be held at venues like Comdex, Las Vegas rather than Monza or Spa then? And would that feel the same? Though I must say after hearing Danielle’s point about how there’s a lot going for automotive engineering teams from Driverless cars racing, I am now a convert. I can see how there are big learnings possible from pushing these autonomous cars to the limit. DR: Perhaps it’s not for racing but for a technological showcase for an automotive brand and its technology partners. Good for raising B2B discussions.